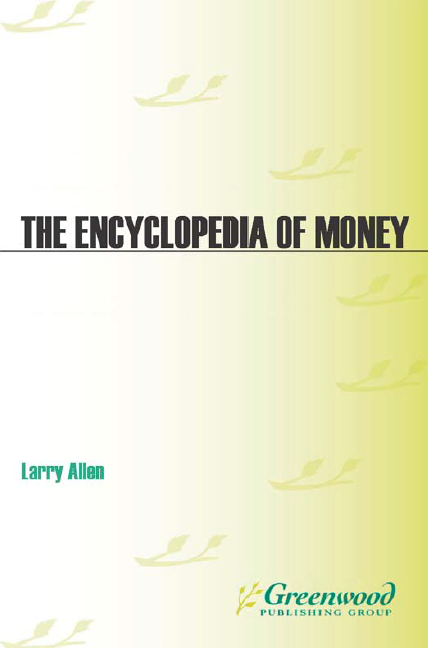 The Encyclopedia of Money. 2nd ed., Allen L.
and dysfunction—of the financial system in a language any reader could understand. Now a decade later, with a more globally integrated, market-oriented world, and with consumers trying to make sense of subprime mortgages, credit default swaps, and bank stress tests, the Encyclopedia returns in an expanded new edition. and pocketbook issues making headlines today.